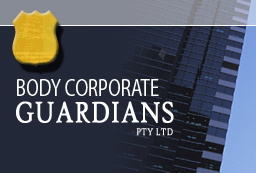 This is a Summary of the basic services provided by Body Corporate Guardians in relation to each of our properties. However as many properties vary in their needs, and additional attention is paid to ensure that each property is maintained and managed to the standard it deserves. For a more comprehensive list, Click here. Arrange for repairs and maintenance in relation to the common property. Make an inspection and report of the property to ensure it is being properly maintained. Ensure that Special Rules and/or House Rules are enforced. Handle any claims in respect of the Body Corporate insurance and ensure that the Body Corporate has adequest insurance cover and arrange for policy renewals. Follow up any arrears due by members for contributions and/or levies. Prepare quarterly Financial Statements for a representative of the Committee, if required, and yearly Statements for all members of the Body Corporate. Convene Annual General Meetings and Extra-Ordinary Meetings as required. Maintain the Minute Book and record and distribute Minutes to members. Register and record any changes in unit ownership. Notify the Registrar of Titles of any changes when necessary. Answer any queries from owners, agents, tenants and Solicitors. Prepare and seal Form 4 Certificates in relation to sale of the units when requested by Solicitors and seal other documents as required. Answer Requisitions on Title supplied by the Solicitors. Lodge Annual Return with the Australian Securities Commission if applicable.